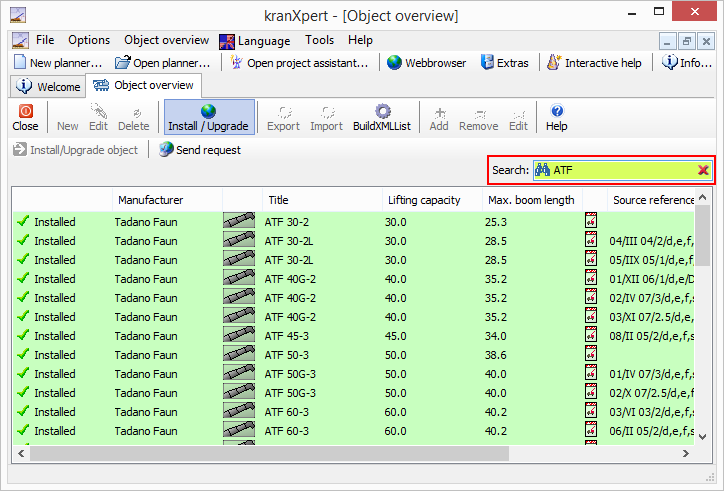 Select in the main menu Options then Object overview. Click on the Install/Upgrade button. 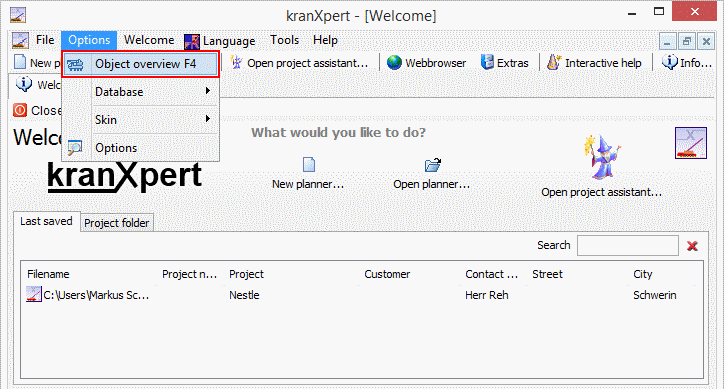 To import a object double click on the object. To find fast a crane please use the search edit box. 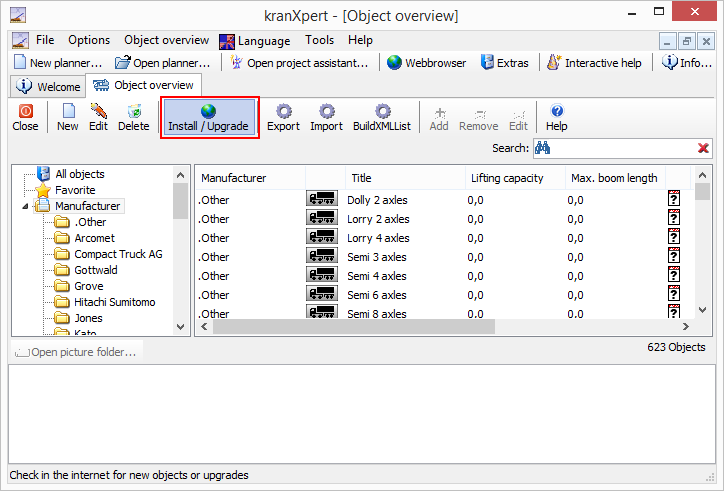 After you have all cranes that you need imported click again on the Install/Upgrade button to come back to the Object overview list.